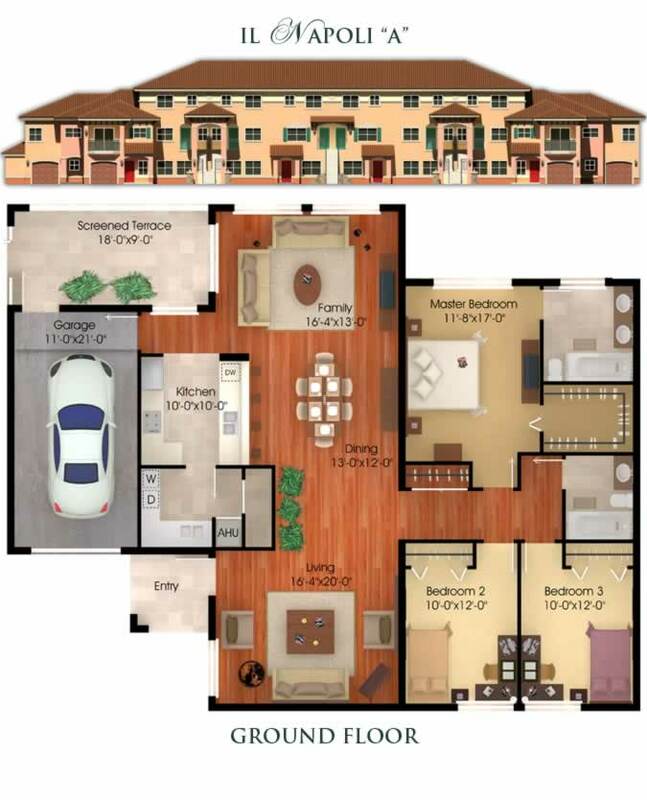 Il Villagio condominiums and townhomes in Jacksonville, Florida. 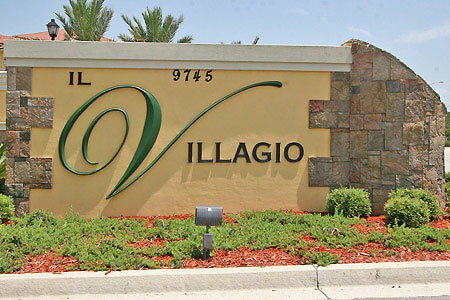 IL VILLAGIO is located in prestigious Deerwood location by Tinseltown. 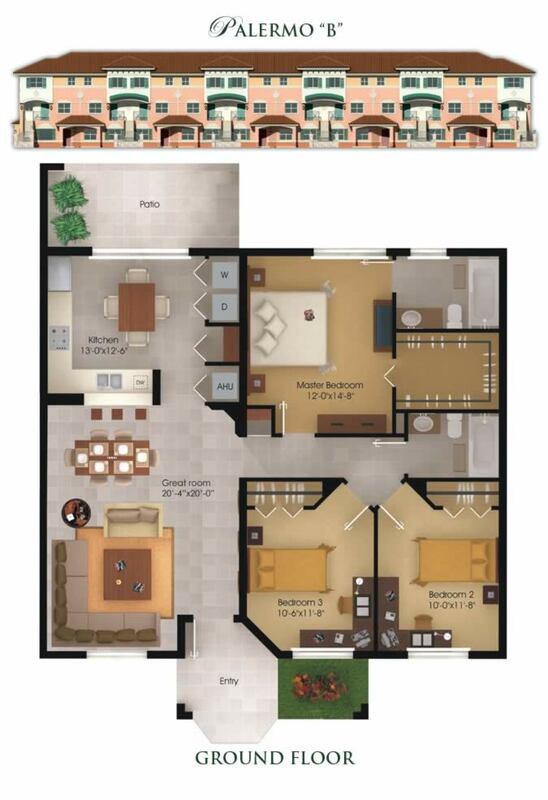 Residents enjoy a private, 24-hour manned security gate community in a pristine setting with walking distance to entertainment, dining, nightlife and shopping, proximity to downtown and the beaches. 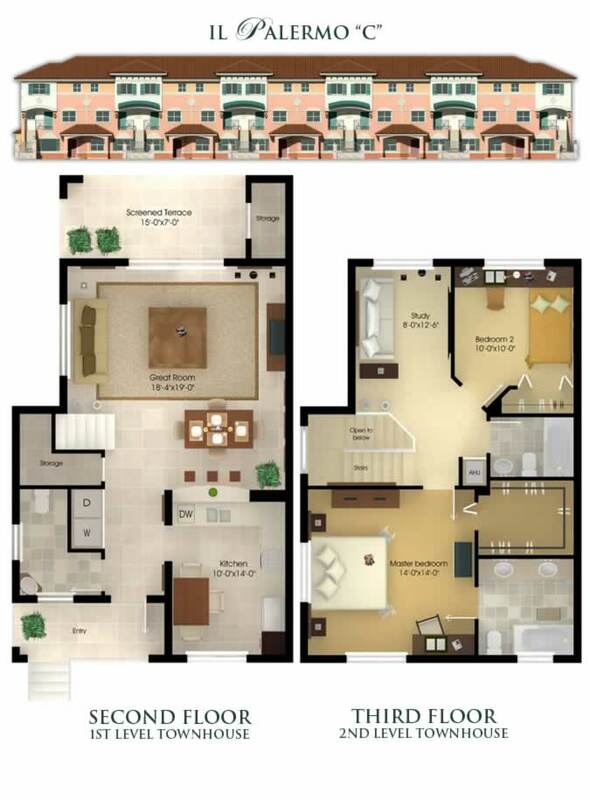 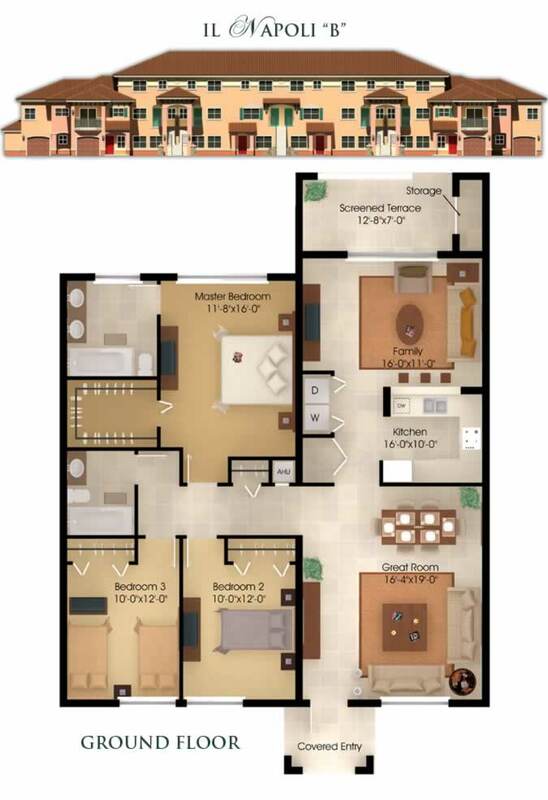 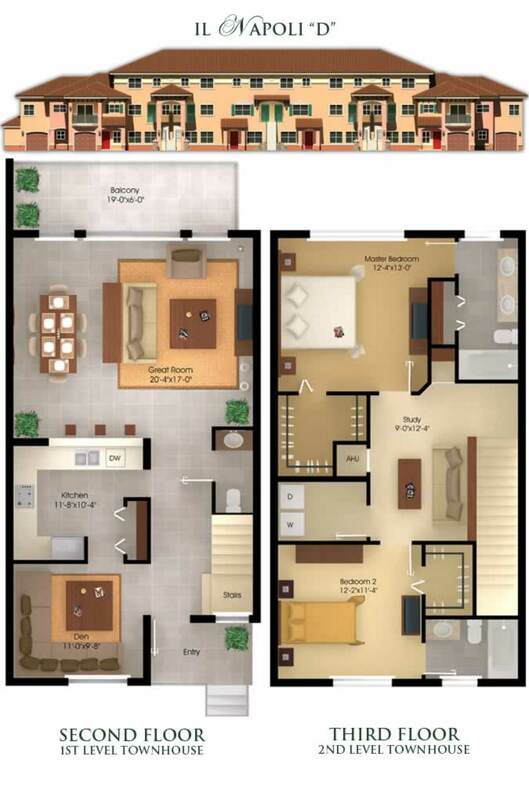 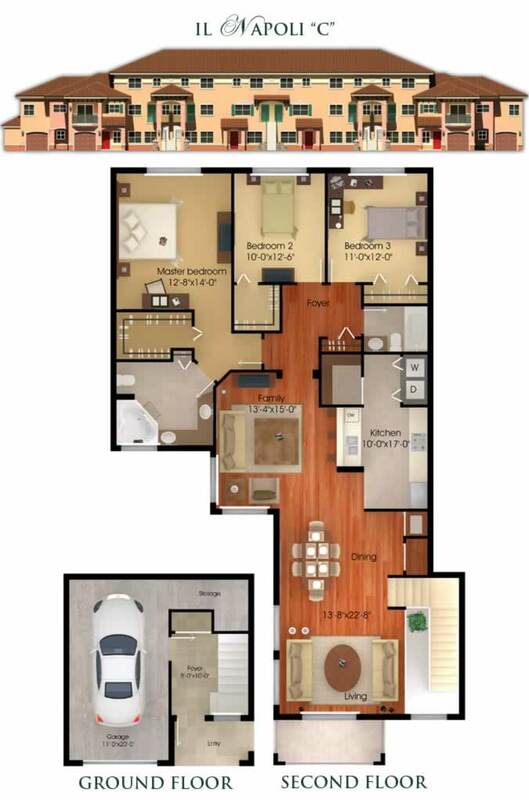 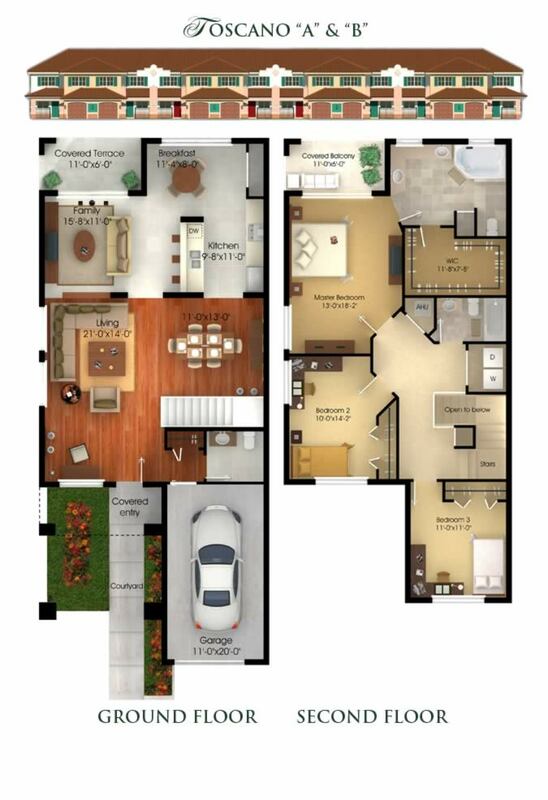 Il Villagio offers 12 floor plans available from 1,206 to 2,040 square feet. 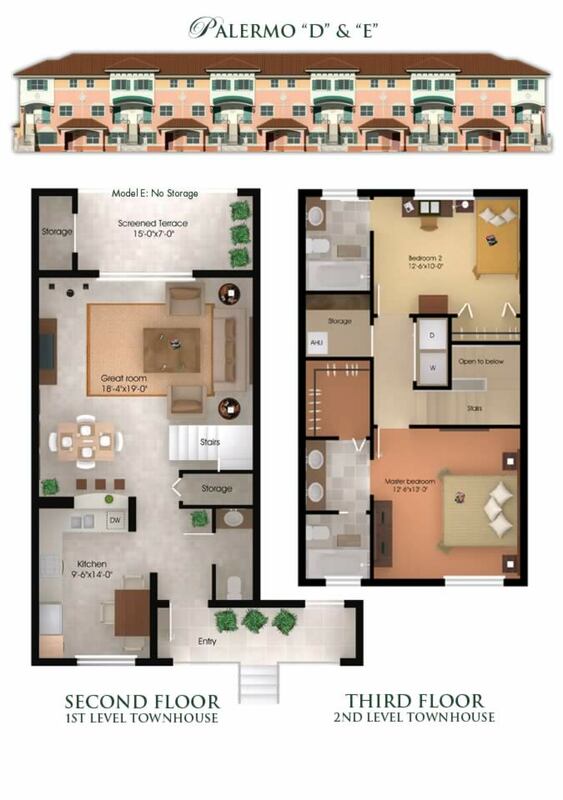 Three special villages (Palermo, Napoli and Toscano) have been crafted to offer all residents a grand lifestyle at an exceptional value. 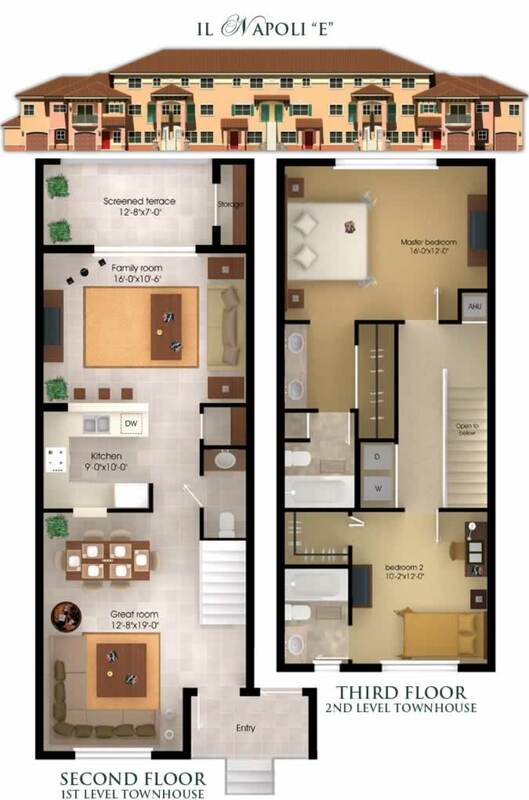 Regardless of which village you choose, you will be surrounded by resort-quality features including custom cabinetry, spacious master suites with walk in closets, knockdown finish ceilings, tiled entry foyers, lush landscaping, two parking spaces for each residence with one assigned (located in front of your home), ample visitor's parking, unique Mediterranean-style architecture, barrel tile roofs, masonry separation walls for maximum privacy and the unsurpassed strength and durability of CBS (Concrete, Block, and Steel) construction which puts your home at the forefront of the market. 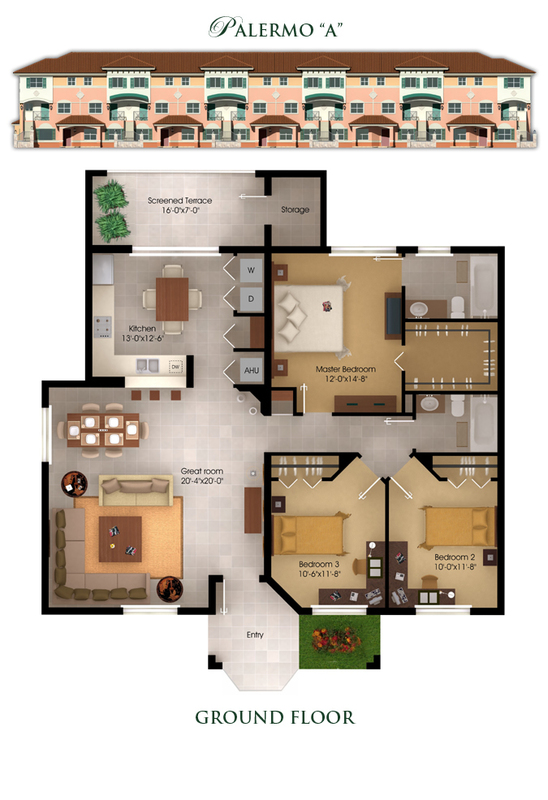 Residents enjoy 7,000 square foot clubhouse and lakes, fitness center, pool with expansive decks, spa, tennis, basketball court, over three miles of nature trails for walking, jogging and biking, sidewalks and decorative brick pavers throughout community.